The IC3 Digital Literacy suite of products includes solutions that range from assessment to certification. And, as a truly global standard, IC3 is as comprehensive as it is diverse. With learning and practice solutions, assessment tools, and certifications specifically designed for a variety of ages and occupations, the IC3 Digital Literacy program is simply the best way to ensure that students and employees are prepared to succeed in a technology-based world. IC3 Global Standard 5 (GS5) is the newest addition to the IC3 Digital Literacy program. Like its predecessors, the GS5 certification is comprised of three exams: Computing Fundamentals, Living Online, and Key Applications. Certiport is committed to providing a truly global standard, and as digital standards and requirements advance, so does IC3. Best of all, because IC3 includes concepts and skills that apply to almost any school or career pathway, it’s the ideal solution for any student or jobseeker looking to validate their digital skills. IC3 Global Standard 4 (GS4) exam objectives are aligned with today’s most current technologies and relevant digital literacy requirements, including social media, collaboration, and cloud computing concepts. The GS4 certification is comprised of three individual exams and is designed to validate competency in three key areas: Computing Fundamentals, Living Online, and Key Applications. With a focus on younger demographics, the IC3 Spark certification addresses the same foundational concepts as its precursor – the IC3 Digital Literacy Certification. While both certifications target issues arising from the increasing demands of technology, IC3 Spark is created for younger children who may be new to computers and the Internet, or who lack a solid foundation in digital concepts. IC3 Fast Track is a digital literacy skills assessment that can be used to gauge the skill set of incoming students or job candidates. Based on the globally recognized IC3 Digital Literacy Certification, IC3 Fast Track can help assess an individual’s ability to perform in any environment where the use of technology is required. IC3 Fast Track is the best way to ensure that your students or employees are up to speed! 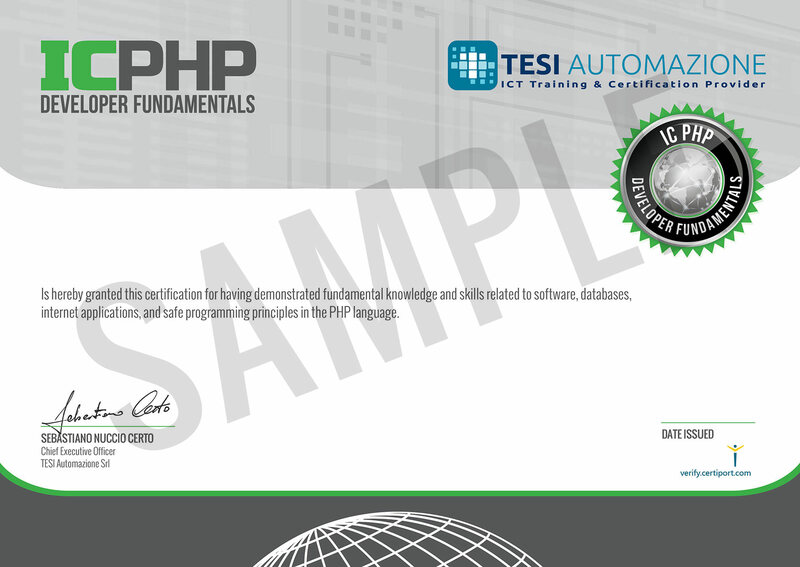 The IC PHP Developer Fundamentals exam is an entry-level certification designed to validate the fundamental knowledge of technology that candidates will need to pursue a career in software development. 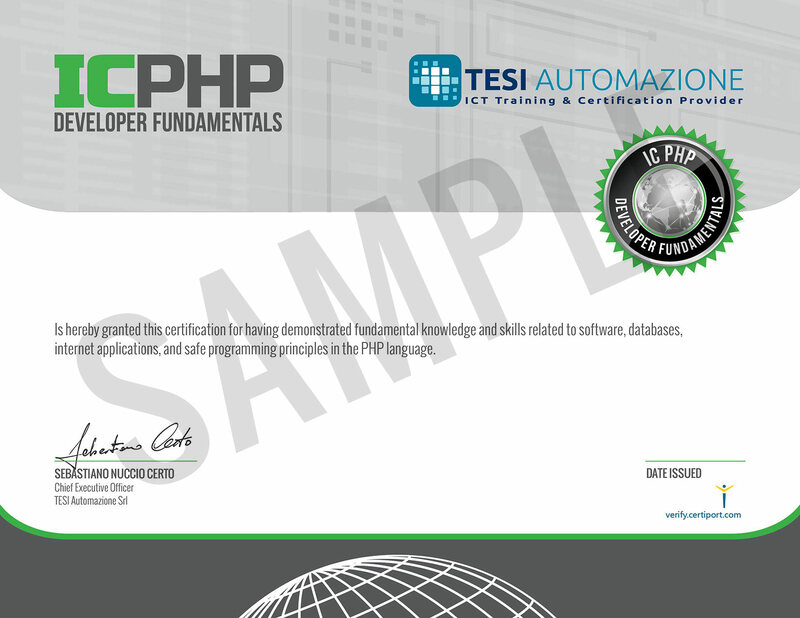 As the first step to more advanced coding certifications, IC PHP is the ideal starting point for any candidate who is interested in PHP coding, but who may have limited experience with programming or coding.